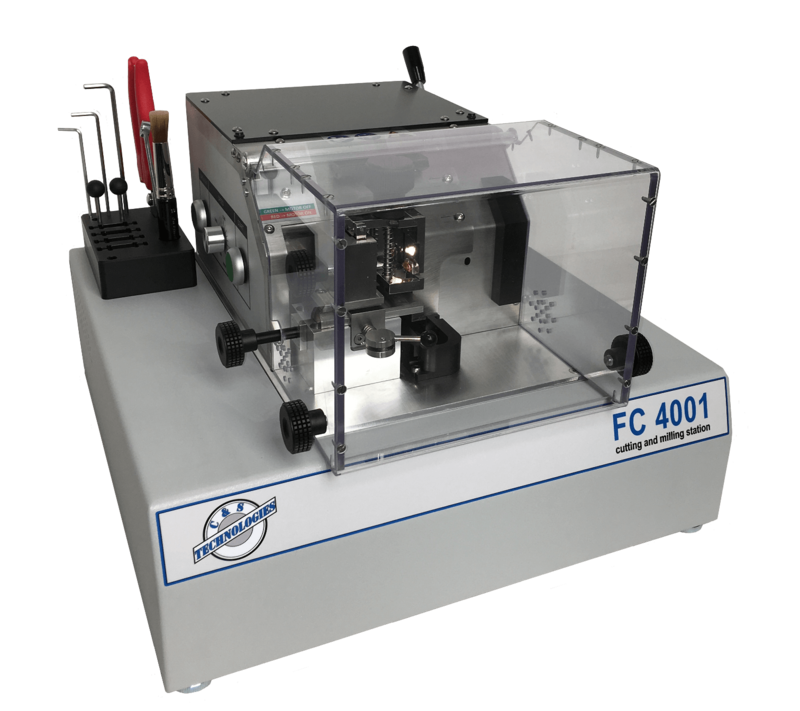 Battery Terminal cross sections require specialized equipment including unique sample holders, FC 4001 Power Saw, GT350 grinder polisher, and a large field of view microscope. The sample holders are designed to clamp the battery terminal and easily mount in both the FC 4001 power saw and GT350 grinder polisher. The cut from the FC 4001 power saw is very precise resulting in clean square cuts that require little grinding. The cut sample is moved to the GT350 grinder polisher with 600 grit grinding paper. After grinding the sample is placed under the microscope for picture taking and analysis. The microscope has a "click" lens with a field of view over 50mm and uses a high resolution 5 MP camera.